Classically trained at one of the top music conservatories in the country. 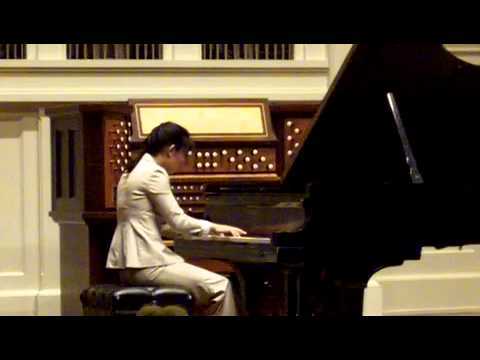 I have performed as a soloist, chamber musician, and collaborative pianist in the US, Canada, Europe, and Asia. Have played everything from classical to Broadway to church music to jazz and hip hop. Can sight read anything upon request. Frequently hired by Atlanta's premier event-planning company, Legendary Events, for high-class functions in venues such as the private home of Arthur Blank. 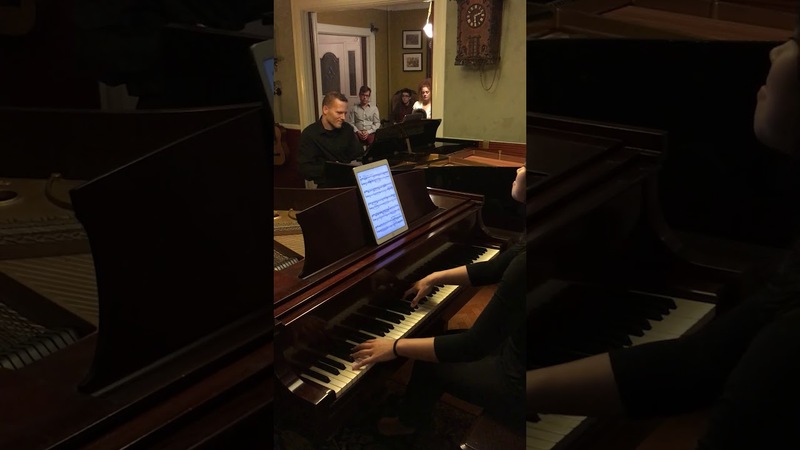 Have experience as a chamber music and vocal coach, and have been a rehearsal pianist for choruses and orchestras as well as faculty at a performing arts high school. Choo Choo did great. She was well prepared and had a great attitude. She also worked well with the other band members. We cannot thank Choo Choo enough for all that she did to make our memorial service so elegant and classy. She played beautifully throughout the 2.5 hours. I would definitely recommend her to anyone who is looking for a classically trained pianist to make an event extra special. I am an activity coordinator for a continuing care retirement community in South Carolina. Each month we try to schedule a musical performance and it just so happened that Choo Choo was set for the last day in January. Her listed credentials spoke for themselves, and the fact that she wasn't afraid to put video clips on her page demonstrating what she could offer further validated her skill level. She is without a doubt well educated and experienced with classical piano. From the initial reply, Choo Choo was very enthusiastic about coming to our facility. I can imagine that performing in front of 100+ residents of a retirement community after playing in various parts of the world and in fancy chambers in front of large crowds wasn't the highlight of her career upon receiving my initial message. And yet, still, she replied in a manner that seemed as if we were her priority in that moment. As someone who routinely schedules entertainment, I appreciate that focus and gratefulness for the opportunity. We worked quickly to schedule a date and time that worked with our schedule and hers since she was traveling a few hours from her home in the city. We had a plan that worked for both of us, and she was sure to keep in touch for nearly two months leading up to our event to maintain a line of communication (and my comfort level with her coming). On the day of the event, she arrived an hour early to best prepare. I showed her the venue and introduced her to our baby grand. I shared how much our residents had been talking about her performance. To put it mildly, they too were impressed with her resume, many of which asking how I managed to find her. Choo Choo tested out our baby grand piano to warm up and to get a feel for how it played. Then, she went into a side room we had made available to her and waited for the room to fill up. Residents began to filter in as we had to pull out more chairs to accommodate all who came to see her. Once 11:00 hit my assistant briefly introduced her to the crowd and she bounced out of the room smiling ear-to-ear and waving to everyone in attendance. She took the mic, thanked everyone for coming and provided a general overview of how the recital would go. And then it happened. For an hour and ten minutes Choo Choo played that baby grand like I’d never heard anyone play it, each piece taking on power and drama and yet still finding softness and understanding in critical moments. Having never been exposed to live classical music like this, I was completely blown away. I’d listened to music my entire life but never once experienced something like this. I couldn’t help but smile as I watched the emotions flow from her facial expressions through her fingertips. It was obvious that she believed in all that she was creating. She felt it. At the last key stroke, I witnessed a first in my nearly 2 years in this position (we’ve had 40+ musical performances alone in that time). She received a standing ovation. Many of our residents struggle to stand, but unanimously, they believed it was appropriate. Some cried. More than 70 took the time to speak with her afterward to thank her for playing and to compliment her on her wonderful performance. Many of these residents themselves had been playing pianos for 80 years or more and even they were in awe. And even still, given her tight time constraints and expertise that is suited for a much more grandiose stage than anything we have to offer her, Choo Choo made our residents feel like she was the one on cloud nine. If you are looking for an honest, thorough account of the professional that she is, take all that I’ve written above to heart. Residents who came will be talking about this until she comes back, and those who couldn’t make it will wish they had. 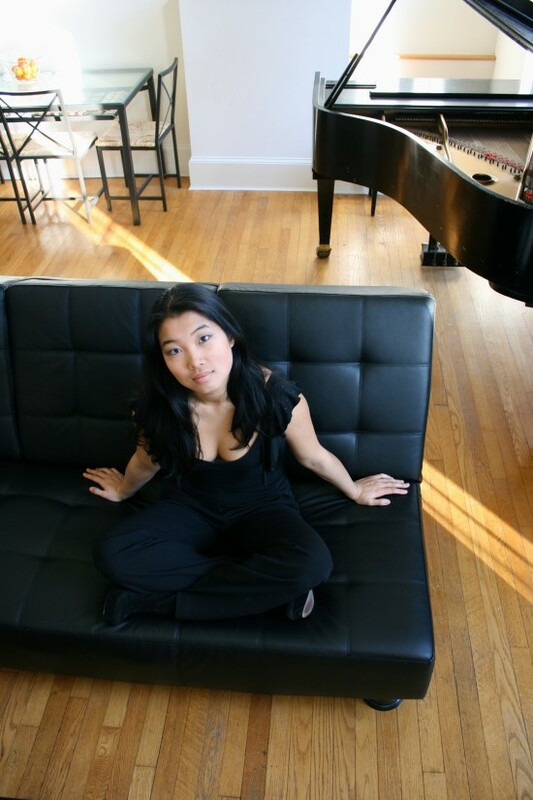 She is charismatic, personable, professional, and without a doubt an excellent pianist. I would recommend her 100 times over and hope that she views our venue and hospitality in the same light. 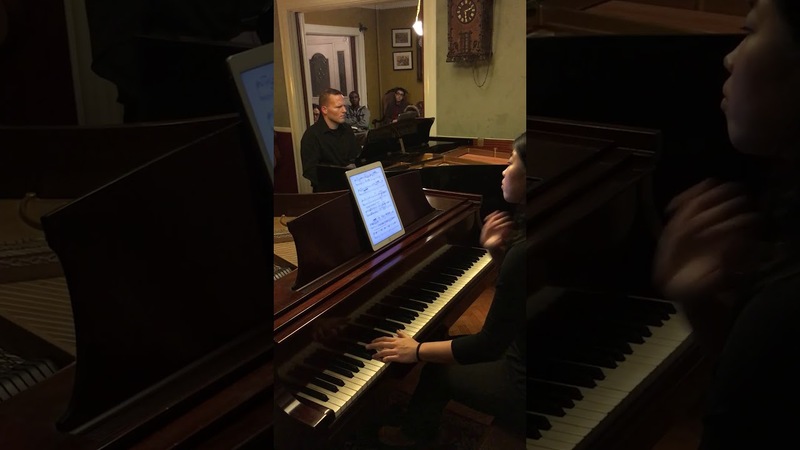 Wonderful pianist! Wonderful background music! Choo Choo is an amazing pianist who is very professional. My husband and I were celebrating our 50th Wedding Anniversary in June 2013, but, because of medical issues, we had to postpone the party until Oct. 5, 2013. Choo Choo was, throughout the entire time, amenable to the postponement, since she knew things were beyond our control. When the day finally arrived for her to play 3 hours of background music at our party, everyone who attended the celebration was blown away by her expertise! They all LOVED her selections, which included show tunes, classical, and semi-classical numbers. She was the highlight of the party, and made our 50th that much more memorable with her performance. Thank you, Choo Choo! We loved having you play for us! Wonderful, Talented and Versatile Pianist! I highly recommend Choo Choo, a very talented and versatile pianist. She played at my niece's 1st birthday party and transformed the ambience of the venue. She was wonderful from start to finish-- a prompt communicator during pre-event preparations, arrived early at the venue, and played beautifully. She accommodated with ease and flair my eclectic music request that ranged from classical to jazz/pop to church music and even Indian Bollywood music!! And she played the latter with such ease, I was amazed. Thanks Choo Choo! We will be seeing more of you at future events. Comfortable playing anything from classical to Broadway to Top 40. Can sight read pretty much anything on command and will take requests. I will work with event planners to curate an ideal set list for the event. 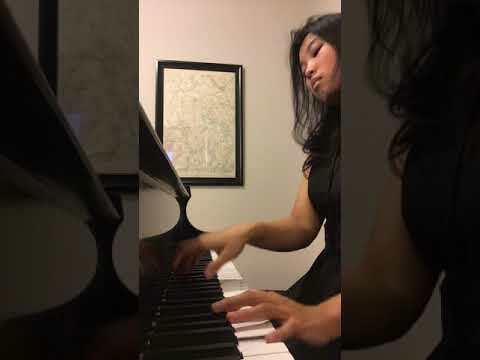 Classically trained at the world-renowned Peabody Conservatory in Baltimore, pianist Choo Choo Hu has captivated audiences all over the world with her passion and prowess at the keyboard. Equally comfortable in a concert hall or a living room and everywhere in-between, Choo Choo's talents have led her to perform all across the United States and in parts of Europe and Asia. While she is most experienced with classical music, she is comfortable with everything from Beethoven to the Beatles to Beyonce. She is also part of a piano trio (with violin and cello), so if you'd like to add strings to your event, look no further. Whether you're looking to add some more culture and class to your wedding or corporate event or you just want to impress your guests at your next cocktail party, the classical stylings of Choo Choo Hu are sure to bring the house down and keep the crowds coming back for more.